AUTOGAS INDIA (AGI) an ISO:9001:2008 company, are suppliers of Alternative Fuel Systems (CNG/LPG Kits, Hydrogen Fuel Cell technology ). A venture of one of the oldest automobile dealers originating from the state of Rajasthan in India, who had established in year the 1935 and having dealt with renowned automobile groups like Ford, Rootes group, Hailey , Hindustan Cars, Royal Enfield, Lambretta Scooters, Willys Jeep , Mahindra & Mahindra etc. 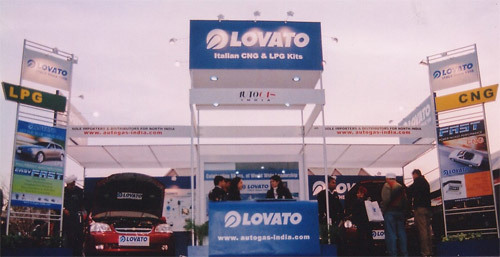 Autogas India has been importing and distributing world renowned, high quality, safe and proven products from Europe since 1995 originating from brands like Marini , Lovato, Tomassetto, Bedini, Autogas SGIS Italy, Stefanelli, AEB electronics etc for conversion of all Petrol / Diesel driven vehicles to CNG or LPG to make them SAVE 50-70% on fuel costs besides helping to reduce the harmful vehicular pollution. 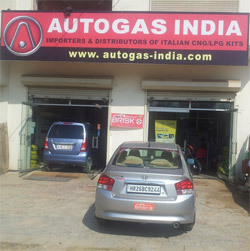 Autogas India also runs a government approved CNG/LPG conversion centre at Gurgaon where state of art Sequential Gas Injection Systems (SGIS) are used for offering world class conversions of all cars. Autogas India is a Sole importer, distributor and promoter or European brand BRISK for their HIGH PERFORMANCE SPARK PLUGS in India since late 2011. With our 20 yrs experience in Automobile / Autogas industry, we understand the importance of correct spark plugs and using the best possible electrode material for a particular car which can make a drastic change in its running characteristics. Autogas India also promotes revolutionary JLM valve savers (Dutch) and its other range of lubricants in India at www.jlmlubricants.in. We are also launching a host of other car accessories including HID & Projector lighting for all cars in India, Paint Protection films (for those who love to drive a new car everyday www.carshield.in ) and running a dedicated VW Polo club where all VW Polo lovers can find something of their interest or a forum to share their views and experiences. 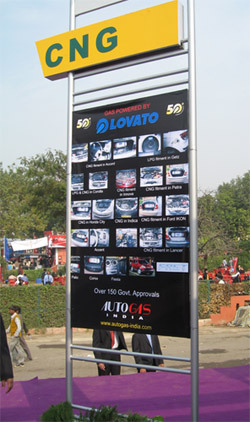 At Autogas India, we always strive for quality products and services. Our promoters themselves being Automobile engineers with a lot of automobile experience and training at the best names of the industry in Italy, Poland, Luxembourg, USA etc, you can be assured of genuine and correct advice and services for all your car needs.